A coastal community of 107,000 residents located 35 miles north of downtown San Diego. A small beach community with more than 2 million visitors annually. A coastal community comprised of pristine beaches, shopping, dining and entertainment. A classic California beach community with a Cape Code style harbor village. A city in Orange County with a pleasant climate and Spanish Colonial style architecture. America's Finest City, known for its mild year round climate and variety of tourist attractions. 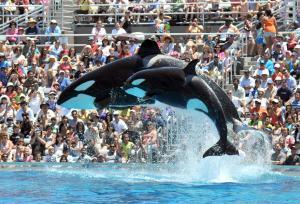 Sea World San Diego Discount Tickets give you 7 consecutive days of admission.